Members only areas are becoming increasingly popular on the web, and can prove invaluable for businesses and bloggers looking to generate more income online, gather more information about their readers, or provide a more valuable experience for their existing customers. Below we’ve identified some of the best free members WordPress widgets as well as a couple free WP membership plugin alternatives. Following are the best free plugins to add a membership component to your WordPress website. If you enjoyed this post, please consider to subscribe to the feed and get future articles delivered to your feed reader. Following are some more related articles that you may like to browse through: Creative Burger Logo Design Inspiration, Free Fancy Gallery WordPress Plugins, Premium Creative Themes for WordPress and WordPress Free Dropbox Widgets. 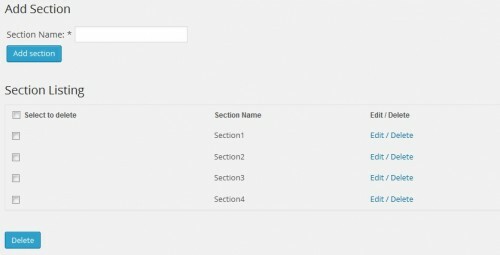 WordPress User Registration Aide Force & Add New User Fields on Registration Form, as the title implies, allows you to require more fields when a new user registers. This not only can help to stop spammers, but it can also increase your user management capabilities and services for your user base. This is a very lightweight Buddypress plugin that list photos and names of the newest members in the widget area. With this plugin, you can set any total number of members to show in the widget. 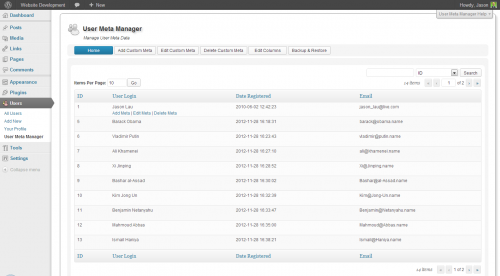 User Meta Manager is a handy plugin, with a simple interface, for managing user meta data. Create forms using short codes which allow members to update user meta data. Add, edit, or delete meta data for individual members, or all members. Simple membership plugin adds membership functionality to your site. Protect members only content using content protection easily. Non-members viewing a protected page will be prompted to login or become a member. Custom Users Order plugin will order users(admin, editor, author, subscriber, contributor) with simple Drag and Drop Sortable capability. Place a shortcode in page, post,text widget or template files to display in front-end. It’s that simple. The best way to display your employees, team members, or any type of list. SEO friendly, comes with multiple templates & drag & drop re-order. This plugin allows you to add, edit, search and display your team members on any page, or in a widget quickly and easily. User listings, member directories, search, filter, export. Digs deep into data created by other plugins to produce unified user listings. Helps non-coders pull together various plugins and present member data cleanly for small to medium sites.